10 Mar: In this small tarterie, it seems all tarts are made equal. 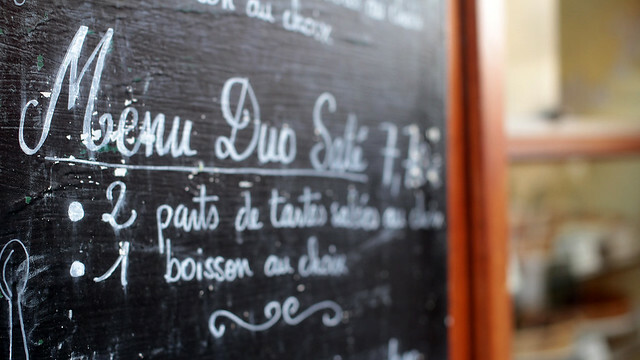 Pick any two savoury tarts, plus a drink, and they’re yours for less than €8. It also inevitably reminded me of Mouff’Tarte, my favourite tarterie before it suddenly closed down over Christmas break a couple of years back. When I came back to Paris in the new year, another café had taken over the shop space. People may say a tart is a tart is a tart, but I’m saying no, some tarts are more superior than others. We are lucky that there are gardens and parks everywhere in Paris. For a major city, it is quite green and often colourful. And to the gardening enthusiasts, even small apartment sizes are no deterrent. They work their magical green fingers to nurture something on their balconies and their rooftops. Annually, there are even special open days where public could meet the gardeners of major parks for chit-chat and tips exchange! 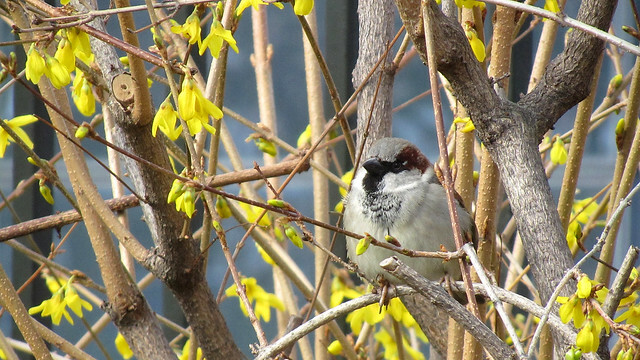 3 Mar: Sure sign of spring, right? We’re starting to spot birds other than pigeon coming out from hiding, chirping away happily, and some would even try to follow us around with cute little expression which says “feed me”. We could do with more foliage on the trees though, since they’re still looking a little bare. Can’t wait for the warmer and longer days. I need more daylight, please! Oh yeah, I have about a gazillion (well, it feels like it) unfinished stuff that I would like to wrap up, but there isn’t really a reset button in life where you can press and clear the whole lot in one go to start completely fresh and anew. And perhaps to take on less so each can be completed in good time. How do we, realistically, decide between being ambitious so to do it all and being pragmatic so to be selective? 24 Feb: The top part of this medieval city gate of Porte St Martin gleams but the remaining looks like it had seen better days. I had initially thought this is the outcome of unfinished restoration/cleaning work, but upon a small research, it seems I am wrong. The two-tone schema is brought about by the difference in materials used, marble vs limestone. The marble certainly keeps its shine better than the limestone that absorbs much of the pollutants in the air. 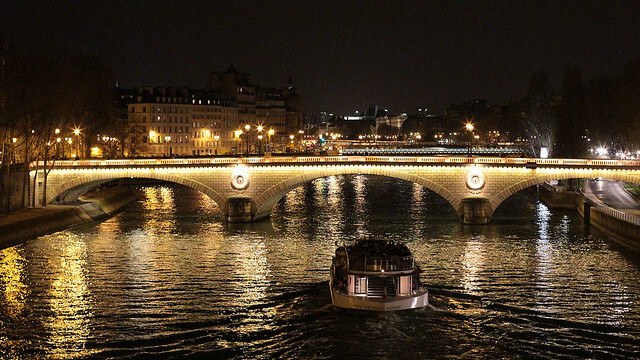 17 Feb: To walk about Paris by night and see the flickering lights reflected in the Seine always lifts me up. I don’t think I’ll ever tire of it. There’s of course a big element of admiration on top of the feeling of being privileged to live in such a beautiful city. If you’d told me when I was young that I’d be destined to call Paris home one day, I would have laughed at its absurdity. It seemed rather unattainable back then, with the language and the culture divide. Now, as I set my roots, I hope to conquer them. 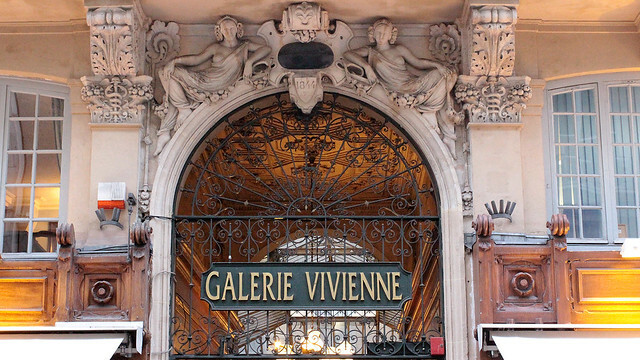 This week’s word is not an entirely foreign word, but when F suggested it to me as the theme to photograph, I knew immediately that this makes a good opportunity for me to explore the galeries et passages of which some are well-known but many stay pretty hidden. 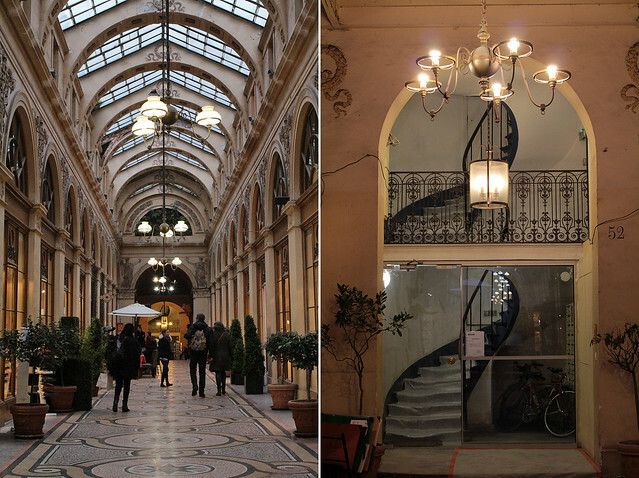 These Parisian galeries can be think of as precursors to modern shopping malls. 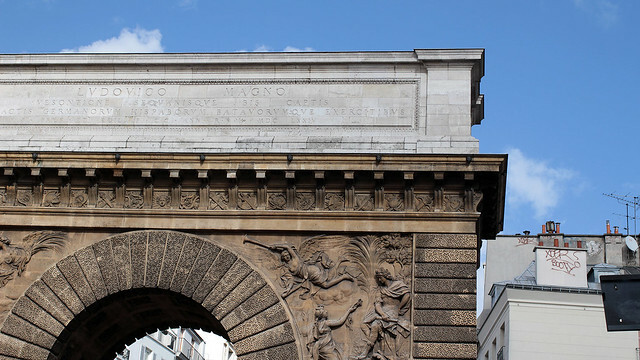 Created at a time where waste management was a citywide problem yet demands were there for more comfortable (window-)shopping experience, these covered passages offered well-maintained arcades and shelters from the elements. Some of them are still kept in good condition, but sadly a good few more are quite run down. Many had also been demolished – in its heyday, some 150 were present but only about 1/6 of them remains today, and not all are open to public. La finesse is one of those words I hear often but the changing context had me questioning if I really understood it. My 20-year-old mini dictionary said little except “fineness” yet I often hear it as a word that describe the finer things in life, of elegance, of delicateness, of refinement. Other contexts suggest physical shape of a person, in the state of being slim and slender, as well as one’s behaviour, worthy to be noted as in fine moral standing. I suggest we explore the finesse in French objects. 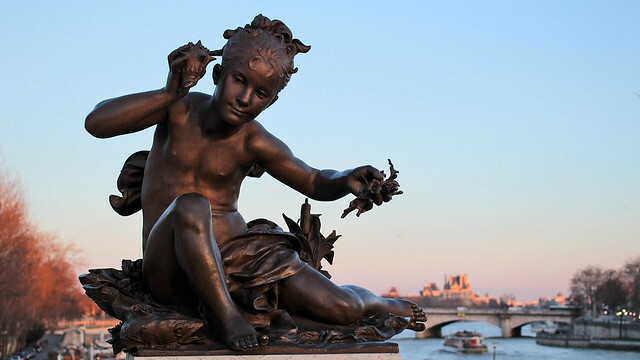 3 Feb: This is not the first time I’ve posted a photo of this water nymph on Pont Alexandre III, and it’s unlikely to be the last. I adore this sculpture. I always drop by to say hello when I’m in the area, and I’m also very pleased to see it free from the clutches of love-locks (yes, some muppets put locks on her before). There are many other sculptures on this same bridge, but I find her presence calming and radiates a certain inner beauty. 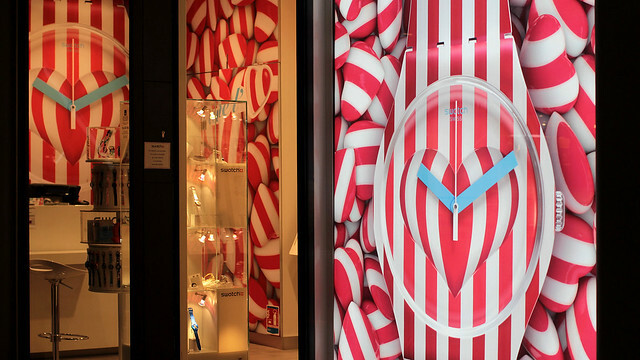 27 Jan: Some of my friends would be surprised to hear that it has been a while since I ventured into any Swatch shop. It is for my own good, considering I have hard time resisting picking up a new one every so often to add to my collection. While I don’t have as many to rotate for every day for a month (yet? ), it is a tad excessive to own quite so many watches – am thinking I should donate some away. It’s strange to look at the calendar and to note that January is coming close to an end. Among family and many friends, the chatters of the day revolve around the preparation for the upcoming Chinese New Year, prompting some action on my part to organise a CNY dinner with a few close friends next week. Sadly, it has been years since I spent CNY at home. Ah, those were the golden times indeed… And oh, speaking of golden, that brings us to the word of the week: doré(e)! 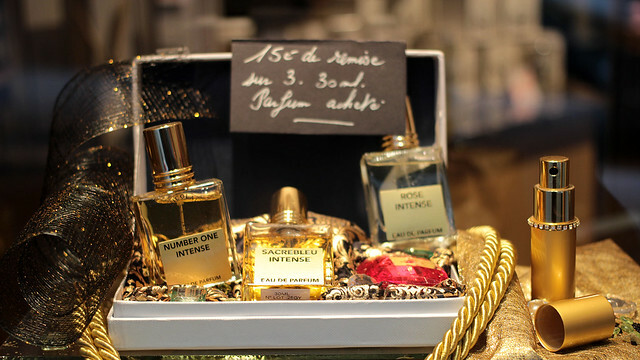 20 Jan: Have you ever wonder why perfumes exist mostly in shades of gold? I understand from marketing stand point, of trying to evoke this sense of luxury and wealth, and link it to a certain status bestowed among perfume users, but shouldn’t the fragrant matters more than the colour of the liquid? In my mind, the darker the shade of gold, usually the more off-putting the scent. Too strong, too intense, just too much. 13 Jan: You know the whole “stressed spelled backward is desserts” thing? Yes, I sought some sweet cure today, in the form of a mixed box of bite-sized treats. 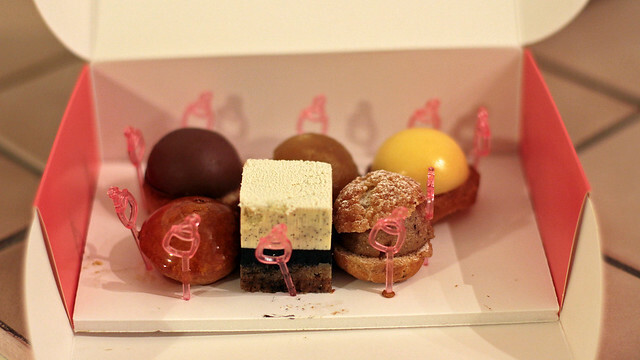 Adorably called the children’s selection, six different desserts have been put together, checking the boxes on: fruitiness (lemon tart), nuttiness (hazelnut tart), chocolateness (chocolate tart), crunchiness (candied choux), silkiness (vanilla slice) and fluffiness (praline choux). 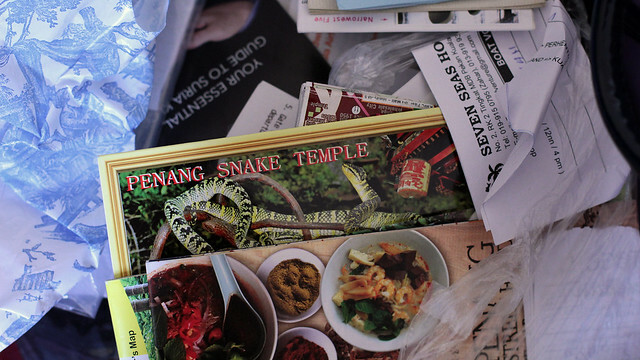 6 Jan: I guess packing could be a whole lot easier had I not been obsessively keen on keeping every single brochure, map, ticket and whats not from our travel. I’ve been meaning to sort them out and save only the most “important” ones in a travel scrapbook, but clearly I’ve been procrastinating… I won’t have time to go through them now but I will definitely get working on the scrapbook as I unpack, so nothing beyond the necessary will stay in the new apartment.